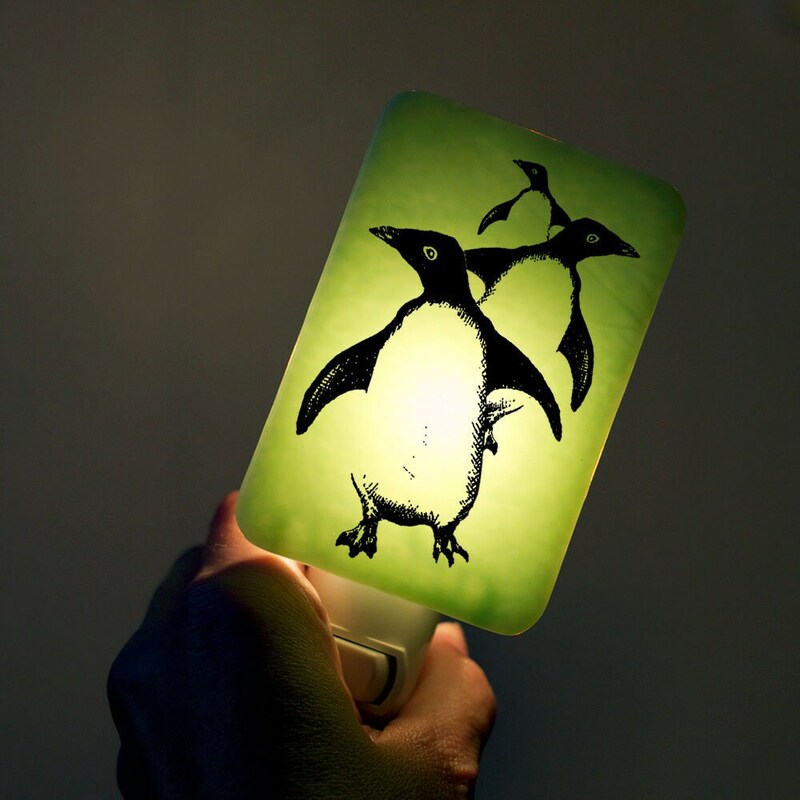 A handcrafted, beautifully illustrated penguin nightlight on a soft minty green background... This trio of penguins is an original illustration by Tracy Bull--we are proud to not use any pre-fab imagery or decals in our work! 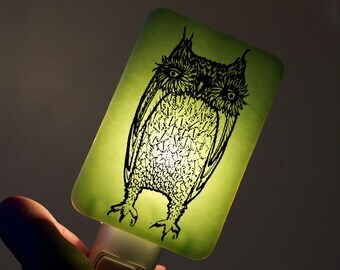 Comes with a gift box, as shown in the last photo.